Ms Elizabeth Thabethe, the Deputy Minister of Tourism visited 1000 Hills Chef School on Wednesday, 28 February. 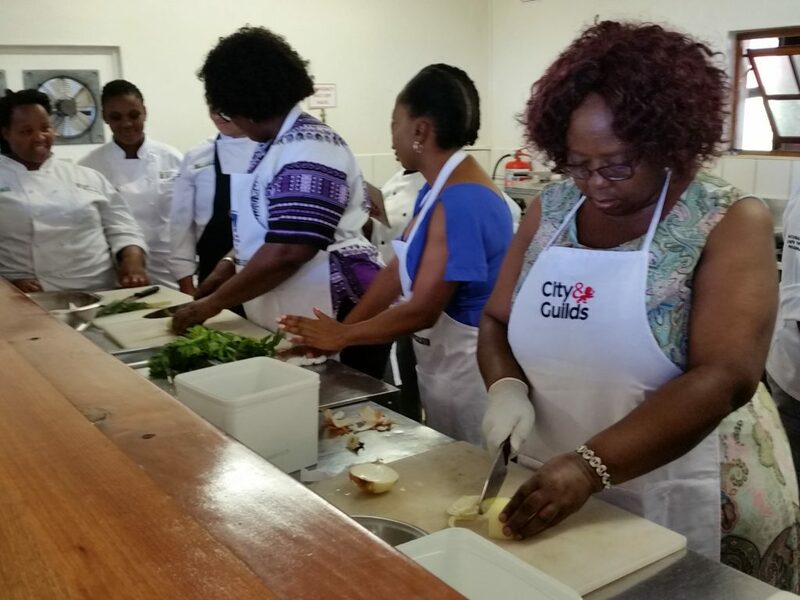 She was accompanied by representatives from the National Department of Tourism and supported by South African Chefs Association Project Manager for the National Youth Chef Training Programme, Hudson Masondo. The NYCTP (National Youth Chef Training Programme) is a fantastic learnership programme funded by the National Department of Tourism and developed with the South African Chefs Association. The programme gives young, unemployed South Africans the opportunity to train as chefs. 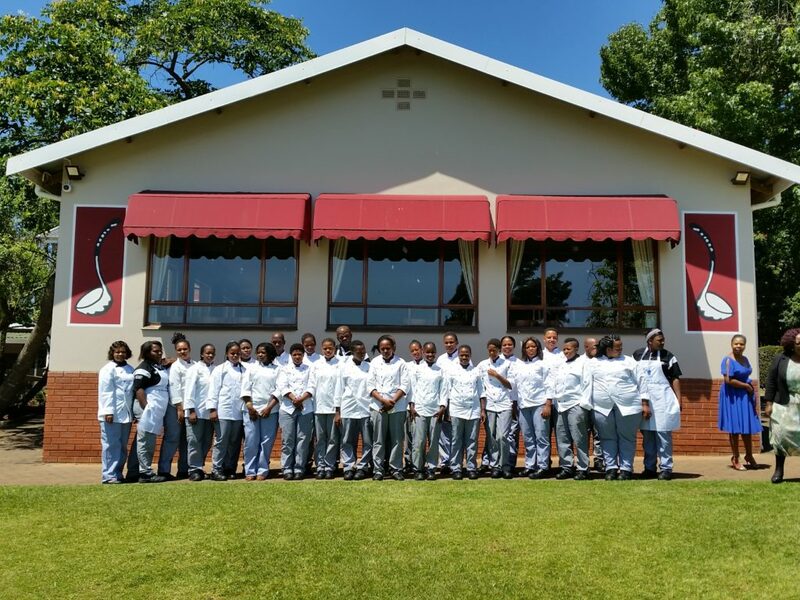 Accredited Training Providers that are members of SACA (like 1000 Hills Chef School) train young South Africans to be chefs, and the learners are placed at restaurants and hotels for on-the-job practical experience. The learners will complete the Certificate qualification in 10 months and will earn the Culinary Arts Diploma in year two and Patisserie Diploma in year three. Students earn internationally recognised qualifications through this programme, and several 1000 Hills NYCTP graduates, including top performer Frank Sithole, have travelled overseas to work with leading hotel chains. 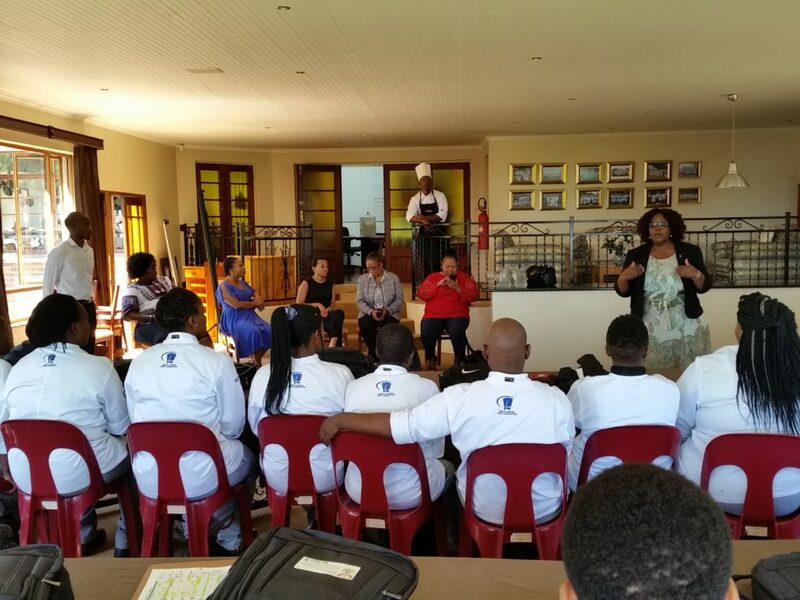 The Deputy Minister of Tourism’s visit encouraged and motivated the group of 29 Certificate students who enrolled at 1000 Hills Chef School in 2017. Part of an elite group (just 800 applicants were selected out of some 30 000 nationally) – she reminded them to grab this opportunity with both hands and said: “Your future is in your hands”. She encouraged the learners to travel once they had completed the course, saying they will be great ambassadors for South Africa. They will also bring back their international experience, raising the bar to make our beautiful country a world-class destination. Ms Thabethe also spoke about entrepreneurship – the selection process for the programme ensures we have learners who are passionate about cooking, but for many, their vision was to get a job as a chef. The Deputy Minister’s message planted the seed to grow future executive chefs who will run their own food businesses one day, creating employment – and paying it forward. After speaking with learners, Ms Thabethe and her team went into the kitchen with the students, chopping and preparing vegetables to make a mirepoix, the vegetable base of a stock and an essential ingredient for many dishes. This hands-on approach is exactly what makes the programme such a success. Learners graduate with both practical and theoretical knowledge and experience. 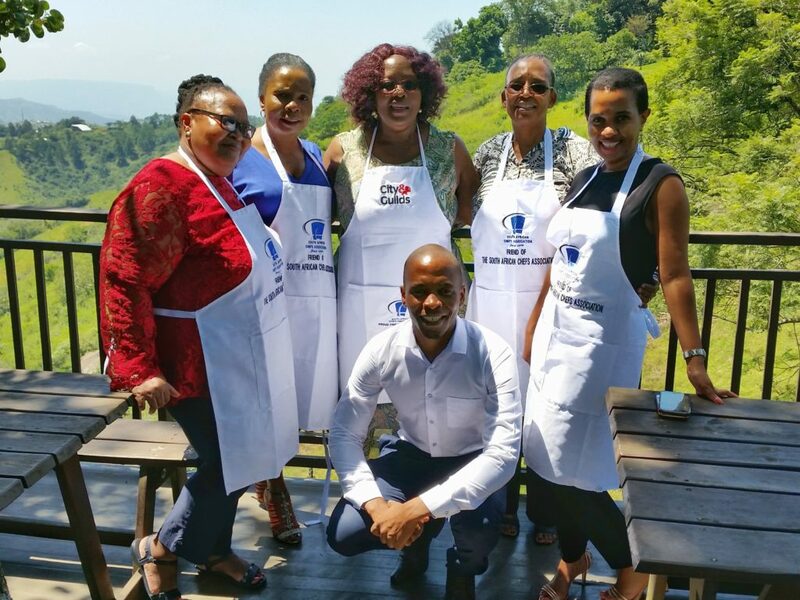 Ms Thabethe, the Deputy Minister of Tourism and guests from the Department of Tourism and SACA enjoyed lunch with the team from 1000 Hills Chef School, where we had the chance to express our gratitude to all involved in this great initiative. A real win-win arrangement: learners earn qualifications, training providers grow their student base and create ambassadors in industry, workplaces offer experience and benefit from having passionate interns that are growing their skills, and the Department of Tourism has upskilled unemployed youth, creating skilled workers that are contributing to South Africa’s booming tourism industry. Ms Thabethe thoroughly enjoyed her visit to 1000 Hills Chef School, commenting on the beautiful campus and saying she could see why we consistently produce top students. Do you want to pursue a career in the culinary arts? Enrol with 1000 Hills Chef School. Contact us for more information.